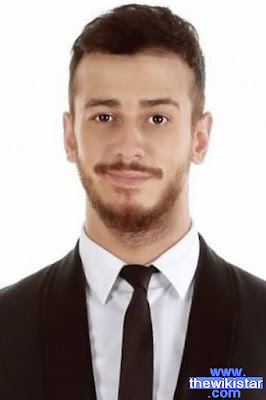 Saad Lamjarred, Moroccan singer, was born on April 7, 1985 in Rabat - Morocco. Saad Lamjarred was born in 1985 in Rabat, capital of Morocco, from well-known artistic family in Morocco Moroccan father, singer Abdu al-Bashir and his mother Moroccan actress Nezha Regragui. Influenced artistic atmosphere in the house and decided after high school to enter the Higher Institute of Music and focused Alsollweg and organ study. He lives from time to time in the United States. Know him and Moroccan Arab public in 2007 through its participation in the "Super Star" program in the fourth season, which was presented to the Lebanese Future TV and to label him the name of Julio Arabs and reached the final where he occupied the second rank. Saad Lamjarred participated in 2008 in a contest singing Lebanese "rich Maine" song "Elly Balna love" written and composed by Suhail Fares. Saad mastered singing in both English and French. His voice is authentic and distinctive charisma charming and captivating heroine and the audience. Aziz Ghali (duet with his father Bashir Abdo, 2009), and Aeidina (her photo clip in the United States, 2009), Almimh, and you do not (2012), Salina Salina (2012), Malo darling Malo, Inti (Ante aggressive one, I knew a huge success in the Arab world, 2014), and I'm with you (with the artist Asma Lamnawar 0.2014), O man (with the artist Salah Kurdi, 2014) teacher (2 May 2015).